We have so much here to offer your child at the Wharton Public Library such as our two children’s computers with many educational and fun games, puzzles and games for your kids to play as well as coloring. We have a wide selection of books from beginners to middle school age children including many popular authors for children to use for school, research and just to enjoy. There are over 300 children’s movies available for them. We also have some storybooks on CD. With such a colorful, inviting and fun atmosphere, no child would mind spending time here in the library. With our child size sofas and chairs, this place is just right for them. ​Please call the library to register. Friday, September 29 @ 6:30p.m. Join us for a night of family fun. Free popcorn and water are provided. Please call the library to register. 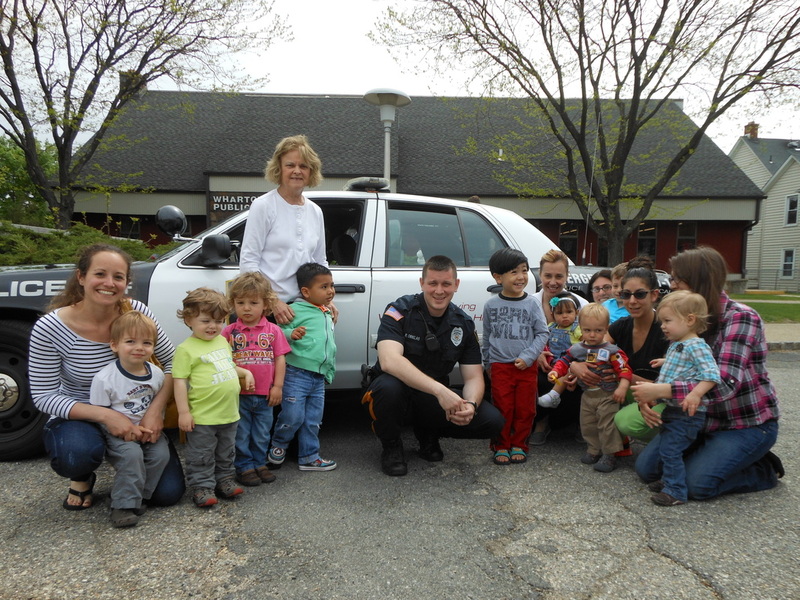 Officer Richard Ornelas of the Wharton Police Department visited on May 14th to read a story and show children the police car.